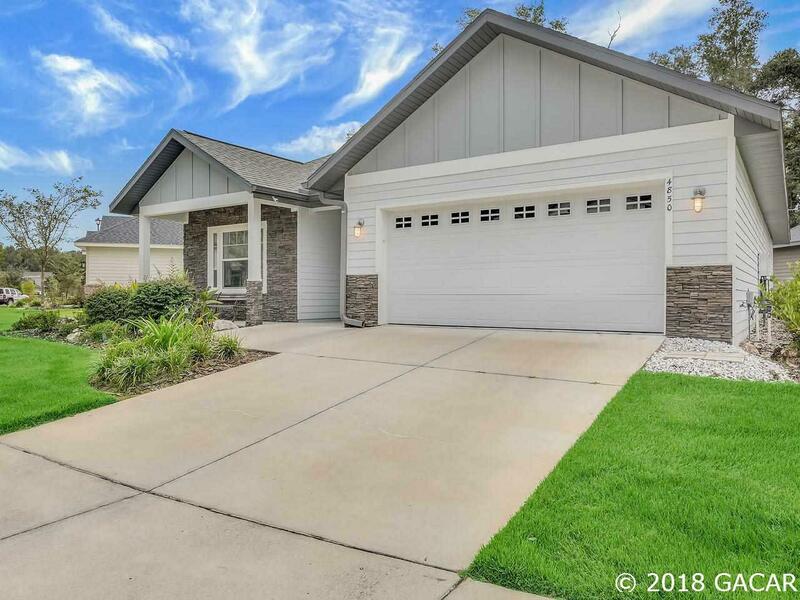 Welcome home to this light and airy luxurious energy efficient 3 bed/2 bath with den/bonus room home located in Finley Woods. 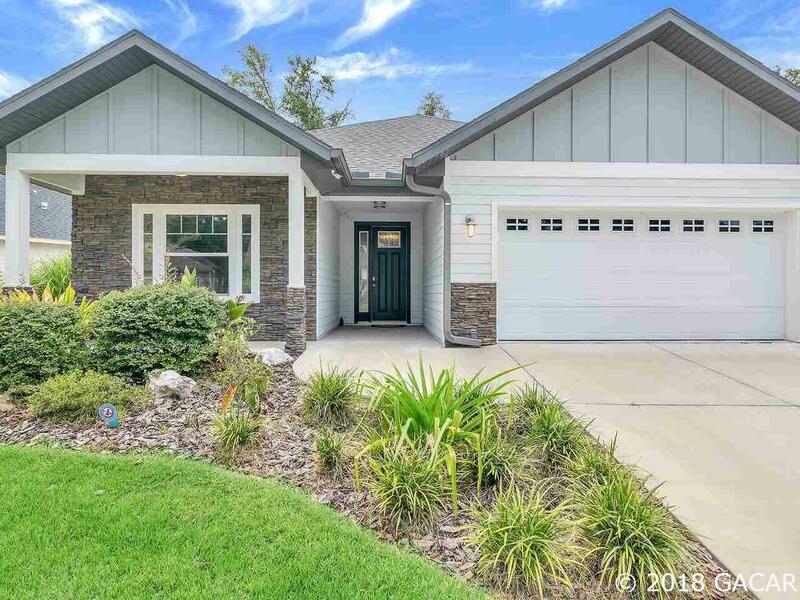 Kitchen boasts self-closing cabinet drawers, granite countertops, oversize s/s farm sink, gas range/oven, on-demand hot water, tile back-splash, pantry with separate eat-in area. Private master suite with his & her closets, oversized walk-in shower, high countertops and lots of lighting. French doors open from family room to fourth bedroom with custom built-ins, flex-space can be used for office, den or children's play area. This "smart house" features thermostat and system to control internet, heating/cooling, door locks and security cameras. Solar panel generate electrical credits, circuits in garage are wired for portable generator with control pad. 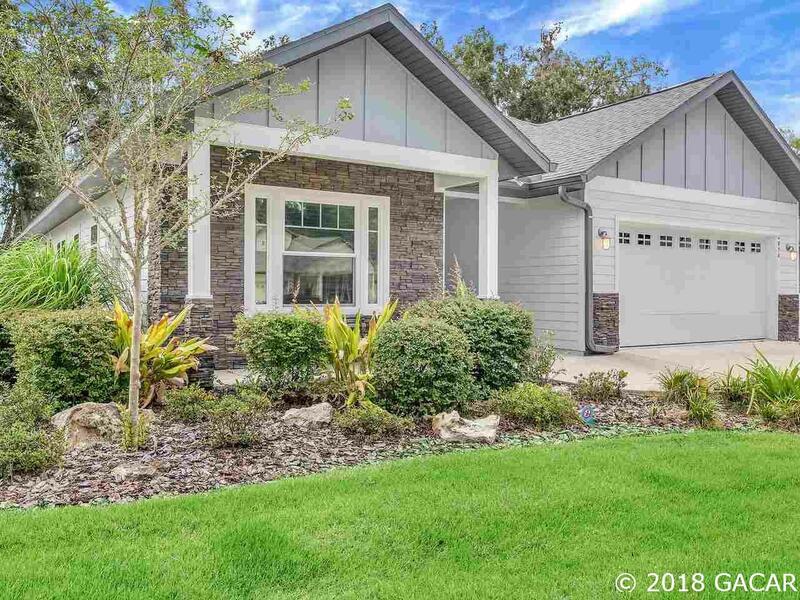 HOA provides yard maintenance, trimming and pest control, small backyard opens to common area for ease of maintenance, neighborhood amenities to be developed in near future. 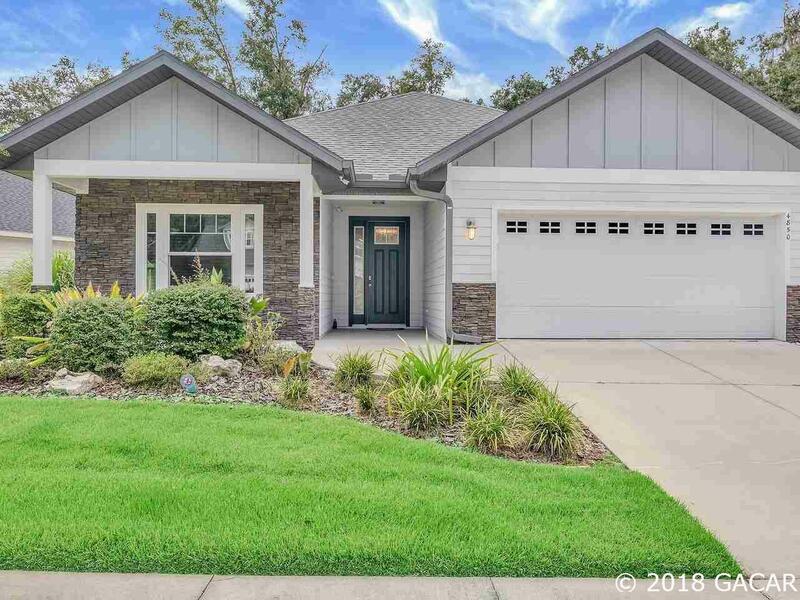 Home conveniently located close to Shands, UF, VA, shops, entertainment and restaurants.